Operations for sanding and plowing are winding down. The split 12-hour shift crews have been working since February 3 with end at 7 a.m. Friday. Crews will return to their regular 8-hour shifts. Please continue to use caution when walking on sidewalks, parking lots, and stairs. Our crews wish to thank everyone for their patience and for all their kind words. During snow and ice events, department sanders and snow plows are dispatched to keep major arterials driveable. It is imperative that motorists do not park or abandon their vehicles within any portion of the traffic lanes. Abandoned vehicles impair snow and ice removal and impact response of emergency vehicles and are subject to towing by the Renton Police Department. Ride along with one of the city's plow trucks. 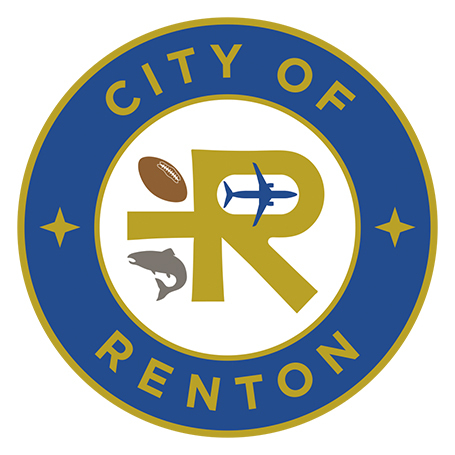 As winter weather approaches, the City of Renton's Maintenance Services Division completed their winter preparations last October by outfitting and testing their fleet of ten plows, nine sanders and three anti-icing trucks. See how they completed the process to help ensure our streets are safe for all. Open the accordions below to for more information. Over 3,700 miles of road plowed, sanded and treated, roughly equivalent to a round trip to Nome, Alaska (1,953 miles from Seattle). Total miles driven by city plow crews has been 5,745 miles, roughly a round trip from Renton to New York City (2,828 miles one-way). Republic Services is planning to run all Thusday residential routes in Renton as scheduled. In the interest of safety for their customers and drivers, there will likely be some neighborhoods they are unable to service due to poor conditions. Those neighborhoods missed will be able to set out garbage and recycles for collection on Saturday, February 16, weather permitting. Unlimited organics will be collected on their next scheduled collection day. Republic Services will inform those in areas they are unable to collect or if conditions and/or schedules change. Garbage and recycle that was not collected on February 11-13 will be collected on Saturday, February 16, weather permitting. Unlimited amounts of organics will be collected on those customers’ next scheduled collection, weather permitting. Garbage and recycle missed the week of February 4, will be collected on the customer's next scheduled collection day, weather permitting. There is no charge for the extra waste. Please store overflow in sturdy garbage bags or in plastic tubs with lids. Download the PSE mobile outage app to track and report outages, check status and get estimated restoration times, or visit our website. Never touch or go within 35 feet of downed power lines because they might be energized. Call PSE at 1-888-225-5773 or 911 to report problems. Do not use a charcoal or gas grill to cook indoors. Never use a natural gas range for heating, or charcoal as an indoor heating source. This can cause a buildup of poisonous carbon monoxide gas. If you choose to use a portable home generator, read the manufacturer’s instructions for the safe operation of the generator. Do not operate generators indoors or in enclosed spaces to avoid the build up of carbon monoxide. If you’re using portable heaters, keep them away from furniture, draperies and other flammable materials. Always use flashlights instead of candles. King County's Emergency News website has tips and links to help you through the storm. Included is bus information, severe weather shelters, and tips for staying warm. Assume it's energized and stay as far away as you can. Energized lines can charge the ground near the point of contact and may electrocute you. If you come upon a downed line of any kind, stay at least 35 feet away. Do not attempt to rescue a person or pet. Call 911 or the utility serving the location. For Puget Sound Energy, call 1-888-225-5773. Leave everything to utility professionals and emergency personnel. Even if they're not energized, downed wires can get entangled with your vehicle and cause further damage. If a power line falls on your vehicle while you're driving, do not exit until you know for sure that the line is de-energized. If you must evacuate, jump away and land with both feet together. Do not touch the vehicle while stepping on the ground, as this can create a path for electricity to run through you. Keep your feet together and take small, shuffling steps until you're at least 35 feet away. Taking larger steps can also create a path for electricity to run through you. Do not use a charcoal or gas grill to cook indoors. Never use a natural gas range for heating, or charcoal as an indoor heating source. This can cause a buildup of poisonous carbon monoxide gas. If you choose to use a portable home generator, read the manufacturer’s instructions for the safe operation of the generator. Do not operate generators indoors or in enclosed spaces to avoid the build-up of carbon monoxide. Find a warming shelter near you. The best way to follow the status of an outage is by checking the outage map and the myPSE app. As snow melts, it is important to ensure rooftop drains and downspouts are clear of ice or other obstructions and functioning. All roofs have a designed snow load and if you are unsure about how much snow your roof can support, contact a professional. There are several ways to remove snow from your roof. But before attempting, please review these safety tips from King County. Remember, the ultimate goal is not to remove all visible snow and ice, but rather to remove enough to relieve the excessive load on your roof.